It's been 25 years since Eric Draven first graced theater screens in the cult classic comic-turned-action/horror film The Crow. This issue takes a look back at the film that helped alter cinema forever, including a new and exclusive interview with creator James O'Barr. 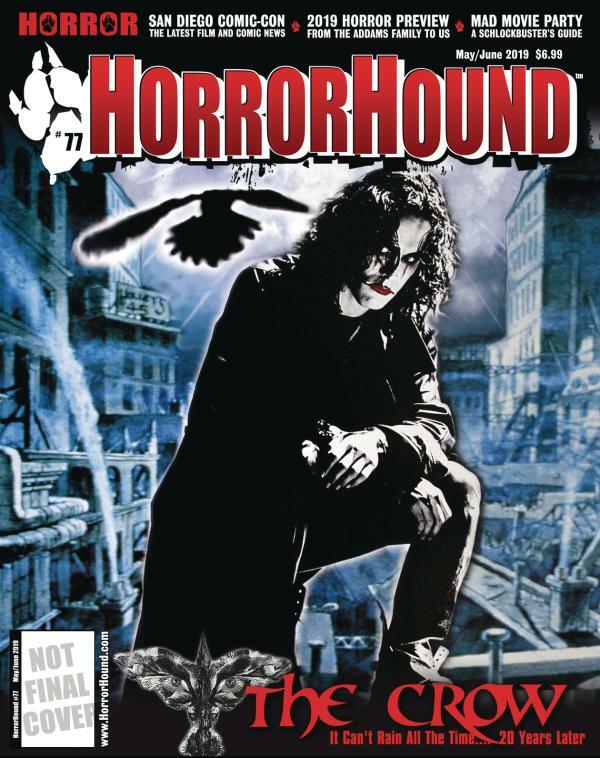 This issue also looks back at the cult comic book industry and films like The Crow helped pave the way to the modern comic-film renaissance. This issue also features movie news and interviews for Godzilla: King of the Monsters, Brightburn, and Child's Play. Plus our regular features, such as the latest toy news and horror comic book news, VHS Invasion, and Horror's Hallowed Grounds.